Last night, around 11:30 pm, I found myself unable to fall asleep. Climbing out of bed, I walked to my desk to see if I could get a little writing done. I opened my latest project in Scrivener and just as I was settling down to write, I began to hear drums. 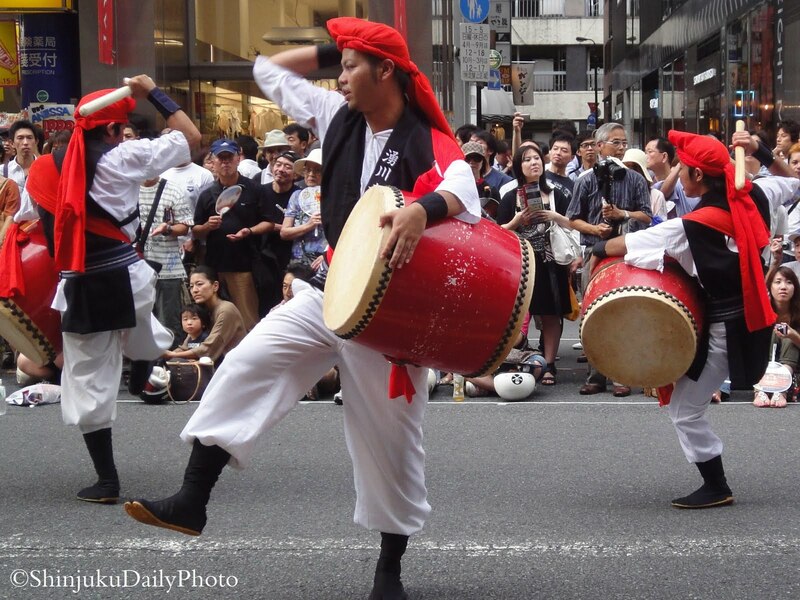 They were faint at first, but even knowing they were far away, I could tell they were taiko drums. I listened for a moment longer and it dawned on me that the drums were getting louder. Whatever was going on, it was moving closer to the house. I got out of my chair, walked to the bay window and peered out into the darkness. Other than a few porch lights, I couldn’t see much. But the drums continued to get closer. Another minute passed before I could just barely make out a flashing light at the end of my street. Had my view not been obscured by trees, I probably could have seen what was going on sooner, but it took another couple of minutes before I saw. There was some sort of parade coming down my street. At midnight. On a Thursday. “There’s a parade!” I exclaimed, more awake and far more excited than he was. Ignoring his sleepy grumpiness, I did a preggo skip back toward the window. By this time the parade was at the house next door to mine, but it was there that they stopped. Where I couldn’t see because of trees. I waited, wondering if they would turn around and leave, go into the house or continue down the street. To my luck (and the Bagpiper’s dismay), they continued down the street. A small truck with speakers and two guys playing the sanshin (a sort of Japanese-style banjo with three strings) followed by a band of chanters/dancers playing hand held taiko drums. There was a third element to all of this, which was a guy in a different costume doing some very high-pitched, sharp whistling. It seemed ceremonial, but neither Bagpiper nor I had any idea what the occasion was. So, we opened a window and leaned out to enjoy and watch (by this time the Bagpiper was more awake and more able to enjoy what was going on). I snapped a few pictures, but they all came out rather dark — and didn’t get any better when I tried to lighten them this morning. It wasn’t until this morning that I learned that the parade was a part of the Obon Festival, a three-day festival to honor the dead. It’s currently 10 pm, so I guess I’ll find out in an hour or two if the parade repeats itself.